First of all, it is difficult to find a positive, supportive and encouraging atmosphere in the corporate world. Even if there is, you can never trust it for sure as it is all about the dollar at end of the day!! Our colleagues and managers have to make decisions that are good for the company, not us. 1) We are not born genius: I agree that few of us are endowed with some special gift since our childhood. But most of the things in life that matter (and contribute towards great success) can be learnt and honed. 2) We are all different and have our own strengths: Even though some people might seem pathetic and hopeless, they do have certain strengths. It is just that we are not aware of it. Do you know what’s the number one fear in America? The toastmasters experience helps you overcome your worst fear. It helps you become confident in life. I like the term “taking the bull by the horns”, that’s exactly how I feel when I deliver a speech. I have used the same strategy in other aspects of my life as well whether it is getting rid of bad habits, acquiring good ones or facing other challenges in life. Yes, the Toastmasters meetings might seem corny at times but look at the positive side. Who will continuously support and motivate you in spite of your shortcomings and failures? The Toastmasters opportunity is available in all the major cities around the world and it is not expensive to join either. Could it be part of your new year’s resolution? This entry was posted in Career and tagged Inspirational, Motivational, Public Speaking, Success on December 24, 2011 by admin. 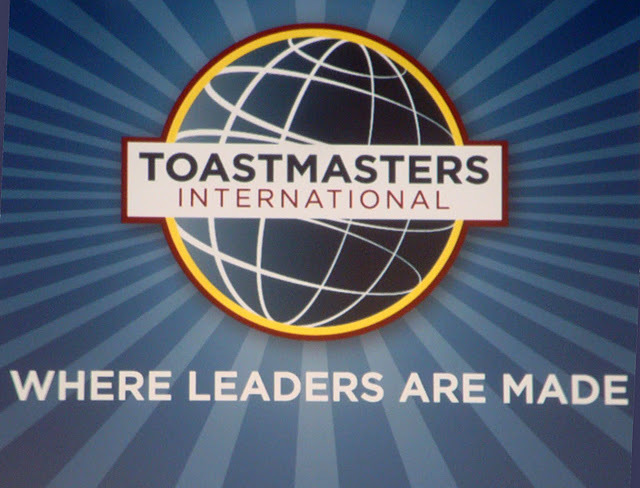 I recently joined Toastmaster and gave two speeches so far…am learning to be comfortable with being uncomfortable! That’s awesome Sherryl, keep it going.